We’re in love with Pete’s Dragon, the fabulous reimagining of Disney’s family film about a young boy called Pete and his bestie, Elliot – who just so happens to be a dragon! 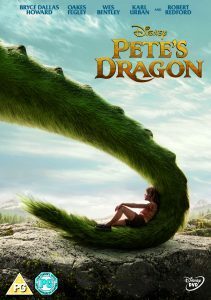 You can get your claws on a copy of Pete’s Dragon, OUT NOW ON DIGITAL DOWNLOAD, BLU-RAY™ AND DVD – or enter our amazing comp right now to win a copy of the DVD! Visit the Animals and You Twitter page and follow and re-tweet the comp for a chance to win! The closing date for entries is Tuesday, December 15th, 2016 at 11.59 pm. For more T&C, please click here. NORM OF THE NORTH COMP! Next story It’s Beginning To Look A Lot Like Christmas! Previous story Puppy Comp Alert!